To apply for an Individual Adaptive Equipment grant online, please carefully read over all information below and then complete the online form at the bottom of this page. Assistance is awarded to spinal cord injury survivors with paraplegia and quadriplegia (Please Note: paralysis must be due to a spinal cord injury that was caused by an accident, separate from complications caused at birth. People with paralysis due to a health condition, such as stroke, ALS, Spina Bifida, Multiple Sclerosis, etc., are not eligible). We wish we could help all people with an SCI disorder, but our current demand far outweighs our resources, and we are not able to make exceptions to our eligibility requirements. Applicants must request a specific dollar amount. Only one modification or one single piece of equipment can be considered. Requests for “anything you can give,” or multiple items will not be considered. Applicants must wait at least one year after a decision on their request before a new submission can be considered. Eligible items: wheelchairs, vehicle modifications (i.e., hand controls or lifts), small home modifications including bath, ramp, and lift installations, computers, bed/mattress, shower chairs and lifts. Grants are disbursed directly to suppliers of the desired equipment or modifications. Individuals making the grant application are required to submit estimates from potential suppliers. Please complete all sections of the application; incomplete applications will not be considered. 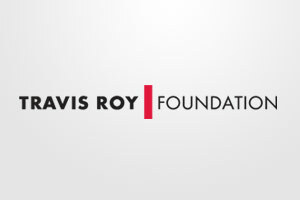 Applicants must complete all questions of the applications in order to be considered for a Travis Roy Foundation Quality of Life Grant, including providing contact information and estimates from at least two (2) suppliers and/or contractors for the equipment or renovations requested in the application; incomplete applications will not be considered. Also note, only one application per individual can be considered per year. NO PHONE CALLS PLEASE. Due to the volume of grant applications, we respectfully request no phone calls or emails inquiring about the status of applications. Grant recipients will be notified by phone or mail upon approval. In addition to the application, the following supporting documentation must be included. Applications that do not have all of these documents will not be reviewed. Written quotes from companies/contractors for modifications. Please note that all materials submitted are not returnable. Applications are accepted year-round and are considered at monthly Trustee meetings. The average grant size is $3,000, and the maximum request considered is $5,000; there is no minimum award. Should an application include an estimate for an item or service exceeding $5,000, the Trustees will consider partial funding if information is included describing how the balance of funding will be secured. Grants are awarded on a monthly basis. Grants are canceled if not used within one year of the award. The Travis Roy Foundation will review each request and make specific recommendations to the Board of Trustees for approval. The Board meets monthly to authorize grant awards. All notifications, both of awards and declinations, will be mailed out after the Board has met. All supporting materials should be submitted to the address below. 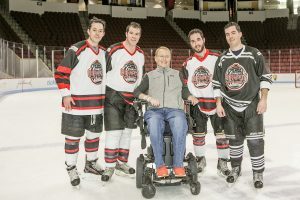 In order to be considered for a Travis Roy Foundation Quality of Life Grant, applicants must provide estimates for the cost of the equipment or renovations requested. Incomplete applications will not be considered. Please provide the names, addresses and phone numbers of at least two (2) companies and/or contractors you have contacted and their estimates for the equipment or modifications requested. If you have a written quote, please upload a copy here.